I’m super sorry about the lack of posts recently, I’ve had SO many outfits I’ve wanted to picture but I have no time in the morning and I do sports after school so come home in my sports gear and looking like a sweaty rat. 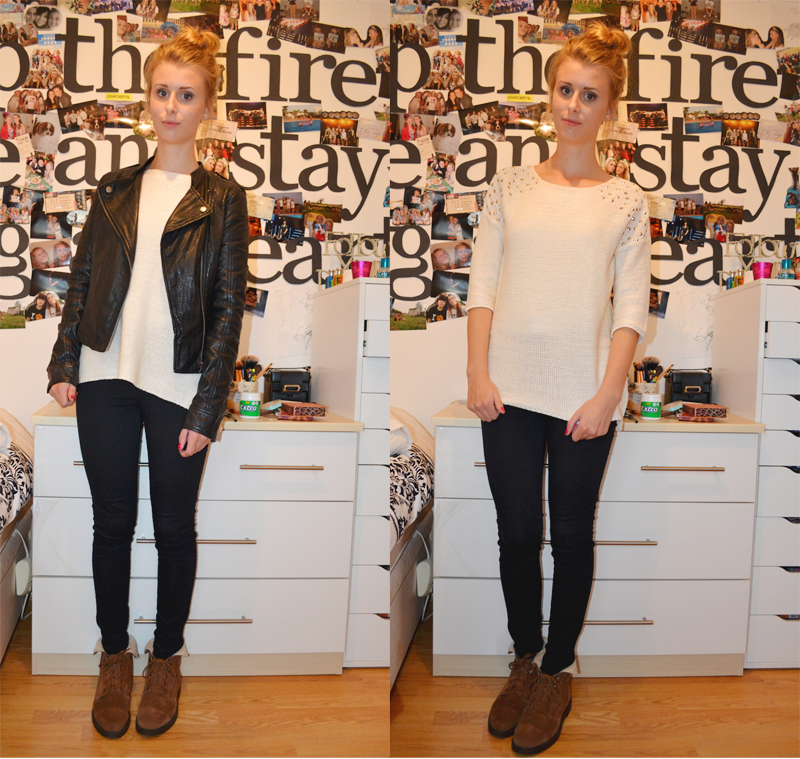 I’ve had lots of homework to do at the weekends too but I’m hoping to spend a day of taking outfit pictures soon! The lighting, as you can see in this picture is also proving to be difficult, you might have to get used to the yellow tone as it’s getting darker and more miserable outside! Last week was a hectic one – my mum managed to get me VIP tickets to see The Wanted at Nottingham on their world tour next year so I’m super happy to be meeting them again, I also saw Nina Nesbitt on Friday night with my friend Alice, she was incredible and I am loooooving her support act, his name is Daniel James, deffo go check him out! And finally, my other friend Alice (not all my friends are called Alice I swear) managed to get BBC R1 Teen Awards tickets so I’ll be off to Wembley in two weeks to that – exciting times!! "I will always want you"
"Bring a smile to your face"